Alexander H. Glassman, M.D., is Chief of Clinical Psychopharmacology at New York State Psychiatric Institute, and Professor of Psychiatry at the College of Physicians and Surgeons of Columbia University. He showed that inter-individual differences in metabolism of imipramine influenced clinical outcome and that delusional unipolar depression responded very poorly to antidepressant drugs alone. His work has clarified the safe treatment of depressed patients with cardiovascular disease. He has demonstrated a strong association between major depression and cigarette smoking and has shown that this history of major depression greatly reduces the chances that a smoker will successfully stop and that if such a smoker should successfully stop, he is at significant risk to develop serious depression. 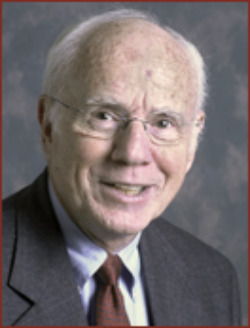 He is a fellow of the American College of Neuropsychopharmacology, a life fellow of the American Psychiatric Association, a member of the scientific advisory board of the National Alliance for Research on Schizophrenia and Depression (NARSAD), and a member of the scientific advisory panel of the American Legacy Panel. His major research interests are affective disorders, psychopharmacology, and smoking cessation.